Imagine throwing a ball onto a plate and it being stabilised exactly in the centre within two seconds. The remarkable response of this control system is due to the implementation of advanced control techniques which are now prevalent in modern industrial processes. 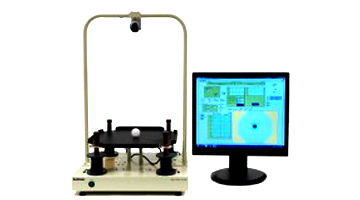 Feedback Ball and Plate Control System demonstrates a classic control problem of balancing a sphere on a flat surface and maintaining its position. It can then be programmed to make the ball describe a circular or any other shaped path around the plate. The unique electromagnetic table actuation enables the study of this unstable system in real-time using sophisticated controllers in NI LabVIEW™. The progressive nature of the student exercises enables the study of the problem from first principles to more advanced control concepts. The product provides a useful insight into control engineering at all levels of undergraduate study and enables advanced users to model and control the Ball and Plate using their own strategy. The Ball and Plate unit consists of a base plate, four plate actuators, two sensing potentiometers, a very light table and a digital camera suspended above. The system incorporates a NI acquisition card for processing position sensor signals and deriving coil drive signals.